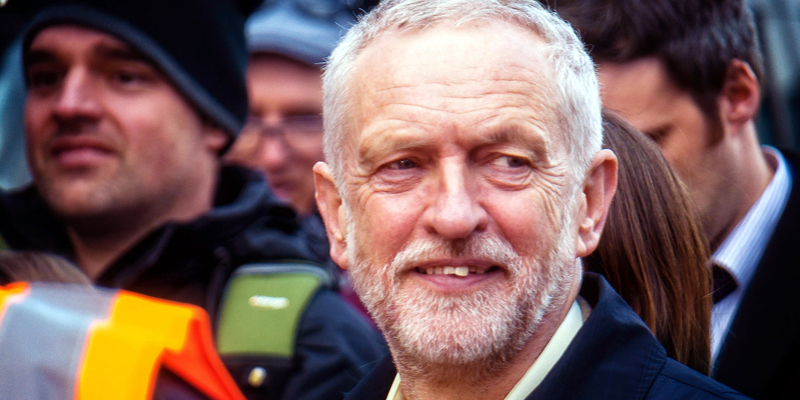 Jeremy Corbyn’s recent tour of Scotland highlights an alarming ignorance of the United Kingdom’s constitutional makeup, and one that can only discredit the true value of any so-called ‘federal’ arrangement the Labour party may so wish to conjure. The biggest gaffe of Corbyn’s five-day stint, much reported by the press (and most glaringly omitted by The Scotsman) was his claim that a separate economic and legal system for devolved administrations would be “difficult and very problematic”, despite Scots law predating devolution and both Acts of Union. But this is not an off-key note in an otherwise pitch perfect understanding: it is more often than not the whole song. This criticism may appear valid, at first. As bestowed by the Scotland Act 2016, the Scottish Government is allowed to put forward public sector bids for rail franchises. But the video – so nationalistic in tone that the lead charge it makes could be interpreted as showing the SNP up for not being nearly nationalist enough – omits to mention that the tendering process for Scotrail occurred in 2013, long before the Scottish Government were granted (or knew they were going to be granted) this ability. It is unlikely, however, that knowledge of the Act was even considered in the making of the video. Two years ago Corbyn made similar claims about Scotrail being ‘privatised’ – despite always being privately run, like all British rail franchises – as well as similar remarks about Calmac (which was, and still is, a publicly owned body). Even if we were to put aside the amendments of the most recent Scotland Act as too fresh to be as yet properly digested, the Railways Act of 1993 prevents public bodies from putting forward a bid for tenure. You do not have to live in Scotland to be aware of this. And, while it can seem understandable, if not sensible, to fall back on what are presumed to be UK-wide conventions when filling in any constitutional gaps, it is less understandable to do the opposite: thinking that what doesn’t apply at Westminster, must apply elsewhere. In an individual, inconsistencies are easy to point out. But when dispersed by an entity, like a political party, they are much more elusive. Two officials of one party can say completely different things, present two contradictory manifestos, and any misinformation is relabelled ‘infighting’ or as an example of the size of a party’s umbrella, instead of being an issue as to the validity of the information at hand. Since devolution this happens in the UK, and particularly in Scotland, with regular occurrence. Winter fuel allowance? That should not apply. A ban on letting fees? There needs to be a lengthy consultation as this is uncharted waters, despite fees being banned in Scotland for some time. A new Act of Union? That can be the name up here, but not down there. This contradiction also has its benefits. Free tuition and prescriptions, for Corbyn and England, are radical policies; for Scotland, they are part of everyday life. But the wave of hope and change they instil down south creeps northwards all the same. When exceptions or exemptions to the ‘rules’ become so numerous, politics as a whole becomes a game of instilling a particular feeling that cannot be so easily pinpointed. It does not matter if Corbyn’s manifesto can map onto an SNP one, Corbyn just feels more socialist than the SNP. With devolution, often those feelings can be propped up by realities: Ruth Davidson, being in opposition, can exploit her status as a kind of rogue underdog speaking the truth to power, while ultimately it is her party that are (only just) pulling the strings that matter. But feeling can only go so far. If Corbyn cannot address the issues that resonate with the Scottish electorate – issues like Brexit, Trident and independence, all of which he failed to mention even once during his recent trip – or worse, debate issues that do not even apply, he risks projecting the kind of ignorance about Scotland that only further benefits the SNP. Scots have heard it all before about federalism, home rule, or whatever other kind of devolved settlement. If Corbyn really believes in federalisation – especially after the resignation of its main proponent in Scotland, Kezia Dugdale – he needs to do more to show it. The lack of understanding – or even a desire to understand – devolution coming from the UK Labour party is surprising. Added with the incredible and relentless turnaround of Scottish Labour leaders, it can often seem like the conviction in devolution even being a good thing for Labour died with Donald Dewar. But even at the time of the Scottish Parliament’s reconvening, those now oft-quoted remarks by George Robertson (“kill nationalism stone dead”) reveal perhaps a certain lack of imagination in the project from the onset. Devolution was not about what it could deliver, but instead what it hoped to quash: namely, dissent. Here is your ball, now go outside; let the adults get back to business. Today, the centralisation of the UK – even as just a notion, a sentiment, never mind a reality – is still strongly evident in the corridors of Westminster, not least in the EU Repeal Bill and Brexit debacle we now find ourselves in. And true federalisation will not and cannot appear, until that approach towards “taking back control” – that is, the setting up of any new, enhanced executive powers – is eradicated. David McAllister is a designer and writer from Edinburgh.